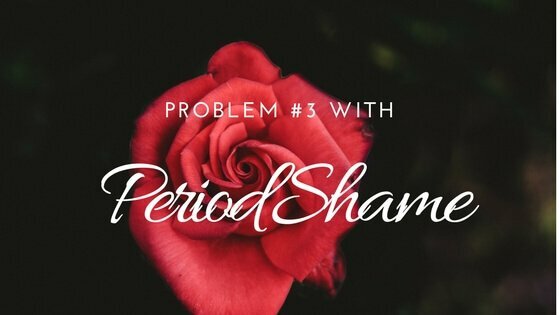 In the first two posts of this series I shared problem #1 and problem #2 of period shame. Now I’m going to tell you what the third and most common problem of period shame is. If you hate your period, you can probably rhyme off the reasons why without thinking: Messy. Inconvenient. Painful. BUT the one reason women give me over and over for why they hate their period is this: PERIODS MAKE WOMEN FEEL CRAZY. 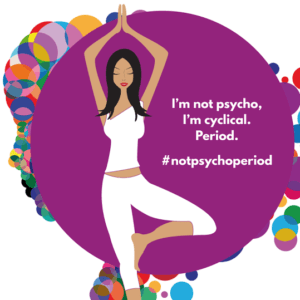 And this is problem #3 of period shame: buying into the stigma that periods make us emotionally haywire, with mood swings that turn us into crazy people. As women we’re conditioned to believe that there are times of the month when we’re a little psycho, a little edgy, a little bitchy. We’re women, and therefore irrational and unpredictable: it comes with the territory. Because in our productivity-obsessed culture it’s embarrassing when you can’t keep yourself upbeat and even-keeled all month long. You want to be super-productive and high-energy every week of every month, and you’re just…not. So you dread the surprise attacks of your inner crazy-person. It doesn’t feel like this should be normal. And I’ll tell you something you probably don’t know: it’s not. The secret and magic truth about your menstrual cycle is that if you can stop resenting it or trying your best to pretend it doesn’t exist–if you can instead try to understand and embrace it–you’ll discover that there’s a rhythm to that rollercoaster. And that actually, consciously harnessing yourself to that rhythm is one of the greatest gifts of having a female body. Want in on the secret? You’re not psycho, you’re cyclical! On the next full moon, March 13th, I’ll share the truth I discovered that made me finally stop hating my period. I’ll give you a clue: there’s a pattern to the ebb and flow of your female energy. You may think of this as “mood swings,” when really it’s a perfect mirror of the moon’s cyclical phases. Learning how to flow with instead of against the weekly changes in my hormones took me FROM emotional roller coaster TO profound gifts of insight and self-knowledge, creativity and healing–ALL because of my period! If you want access to your own profound gifts, I would LOVE to have you join me for my Full Moon Facebook livecast on March 13 at 6:00pm EST, where I’m going to be sharing life-changing solutions to the three problems of period shame. When I discovered this information more than a decade ago, it was like receiving a diagnosis and a cure all at once. It turned out I wasn’t psycho–I was cyclical! And I want to share this cure with YOU. To help you finally feel in sync with your hormones, your period, and your innate emotions—naturally. RSVP and open to your menstrual wisdom now! P.S. Curious how you can foster a healthier connection to your menstrual cycle right now? Click here to access my unique moon meditations, which help you tune into the four distinct energies of your cycle to maximize your Goddess energy all month long!